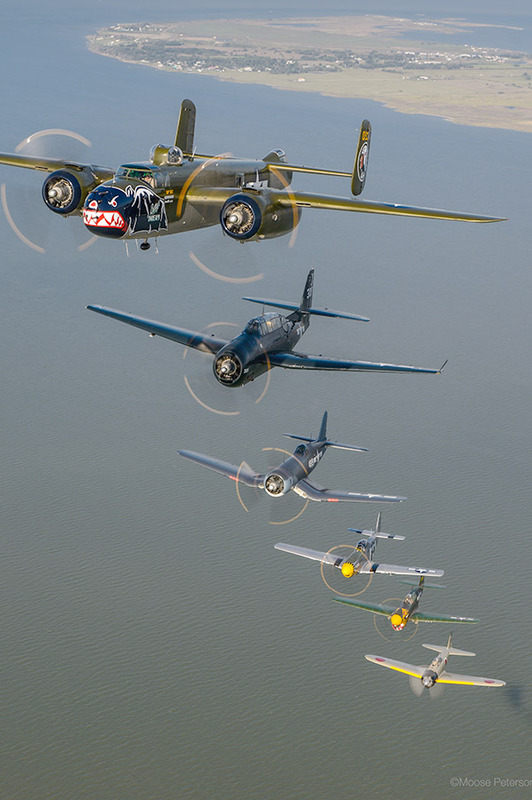 The Texas Flying Legends Museum is making its first California appearance at the LA County Air Show. The TFLM squadron performs a thrill packed choreographed routine, honoring and celebrating our veterans through a number of formations, simulated dog fights and solo routines. 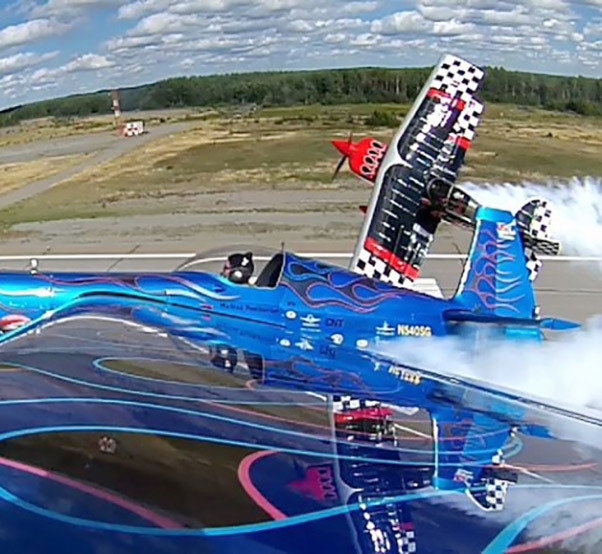 Skip’s high-flying aerobatic performance would not be complete without his modified Pitts S2C, PROMETHEUS. The aircraft brings the flaming fury of Skip’s gyroscopic and brain-melting maneuvers to life. Skip and PROMETHEUS will tear through a high alpha pass on takeoff, and proceed to demonstrate jaw dropping maneuvers merely feet off the ground. Skip is also the 2015 Art Scholl Memorial Showmanship Award Recipient awarded yearly by the International Council of Air Shows. Melissa’s aerobatic routine combines high-performance aerobatics with thrilling gyroscope maneuvers – skills learned from years of practice, mentorship and world level competition. The routine finishes with an exciting Inverted Ribbon Cutting sequence, only 23 feet above the ground! Melissa offers a solo aerobatic display in one of the most high performance aerobatic aircraft in the world, the Edge 540. The Edge is built in Guthrie, Okla., by Zivko Aeronautics and was designed to fly air races, World Level Unlimited Competition Aerobatic sequences, and dazzling and dizzying gyroscopic maneuvers. Weighing only 1,200 pounds and powered by Ameritech’s 11:1 compression, 400 horsepower IO540 engine and custom painted Hartzell Claw Propeller, the Edge is a powerhouse! Melissa strives to combine all of these aspects into one action packed display of the aircraft and pilot’s capabilities. Melissa’s display combines the high performance maneuvers learned through coaching and World Level competition, with tumbling gyroscope maneuvers learned through mentorship and practice. Her sequence finishes with an exciting Inverted Ribbon Cutting sequence at only 23 feet above the ground! The ribbon cut allows for volunteers to gain a first-hand experience in the act by holding the poles that suspend the ribbon above the ground, which Melissa will first fly under, and then cut with her propeller. The Edge is not only an amazing aerobatic aircraft, but with 63 gallons of Avfuel in the wings and a beautiful avionics package provided by Sarasota Avionics, Melissa is able to fly it to locations all through North, Central and South America as well as throughout the Caribbean. Combining the talents of Skip Stewart, Melissa Pemberton and Shockwave Jet Truck, fans won’t know where to look first! Watch keenly for a battle that takes place both in the sky and on the ground between two aircraft and the jet truck, resulting in a head-to-head race that will have you begging for more! The Tinstix team is guaranteed to bring everyone to the fence line with their eyes turned skyward. If the sound of the 400 HP Edge 540 flown by U.S. team member, Melissa Pemberton, Bill Barber Showman Ship Award Winner Skip Stewart in his custom built biplane Prometheus do not capture their attention at first, then the smoke from the jet truck and pyro explosions will draw them in for sure! The idea behind The Immortals is to give the audience multiple things to watch at the same time and to always have something happening at show center. We want to draw them in, get them excited and entertained, and then finish with them wanting more! The act starts out with opposing take offs and a squirrel cage routine with ‘pops’ of pyro that build up for the grand entrance of the jet truck! There is a battle that rages in the sky and on the ground between three aircraft and a jet truck that results in a head-to-head race, finishing with a wall of fire! The smoke, pyro and noise will overwhelm the senses of even the most seasoned airshow fan and leave them wanting to come back again next year to see more! Get ready Los Angeles County for the reigning Guinness Book World Record Speed holder for fastest jet truck, SHOCKWAVE! Owned and operated by father and son team, Neal and Chris Darnell of Darnell Racing Enterprises, Shockwave is a triple jet engine Peterbilt Semi, boasting 36,000 horsepower and a top speed of 376 MPH. During Kent’s performance, fans are treated to separate routines with comedic narration. A fan favorite, Kent performs a dead-stick routine in which he turns off the engine from 6,000 feet above the ground and free falls towards the tarmac, a rooftop landing on a moving RV, a comedy act featuring a detached aileron (otherwise known as the wing flap) and a mesmerizing wingtip-scraping pass down the runway. 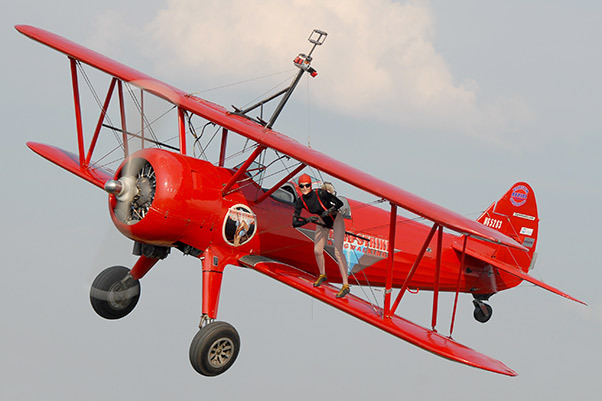 The action-packed Third Strike performance will not only demonstrate the team’s original wing-walking routine, but will be followed by the industry’s only dual wing-walking act featuring two stunt-women traveling atop the vintage Stearman bi-plane! The performance concludes with a Stearman solo performance that is just as entertaining as it is impressive. Chuck Coleman will add a high-energy aerobatic element to the air show in his Extra 300L. While Chuck has flown hundreds of air shows and has more than 3,500 hours in the Extra, he adds some local flavor as an Antelope Valley resident! 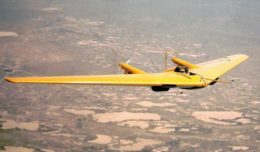 The ER-2 High-Altitude Platform is a versatile aircraft well suited to perform multiple mission tasks as it operates at altitudes from 20,000 to 70,000 feet, which is above 99 percent of the Earth’s atmosphere. Check out this amazing aircraft in the sky as it demonstrates the surprising agility and power for air show fans! 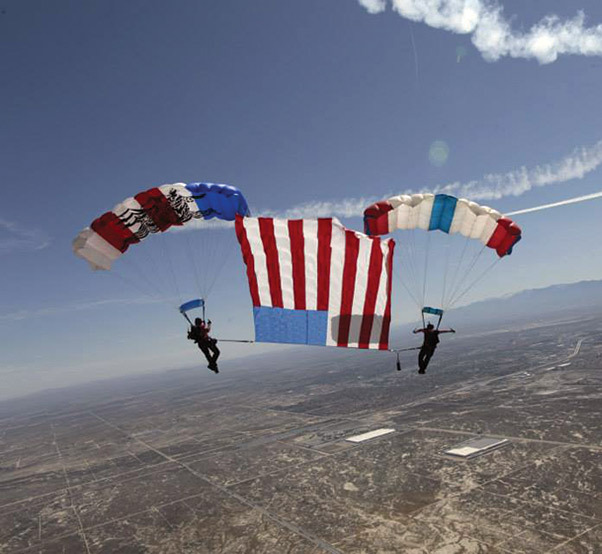 The Los Angeles County Air Show is excited to welcome back the Patriot Parachute Team! The Patriot Parachute Team is a team of professional parachutists who formerly served as active duty Navy SEALs. As SEALs, parachuting into different and challenging environments was our duty. At the Patriot Parachute Team, it is our passion. We have taken that same dedication, precision and discipline and transformed it into a once in a lifetime experience for your guests or audience. We have performed in hundreds of cities and venues around the country, in thousands of demonstrations. We are skydive professionals and maintain outstanding relationships with the Federal Aviation Administration, our venues and our friends throughout the industry. All of our team members are United States Parachute Association PRO, Advanced Freefall Instructor and Tandem rating holders, the highest qualifications in the parachute demonstration field. We are fully insured, trained and ready to provide your guests, audience, or venue with a fun and exciting performance they will talk about for decades to come. The Planes of Fame Air Museum is an independently operated, non-profit 501(c)(3) aviation museum based in Chino, Calif., and in Valle, Ariz.
Its mission is preserve aviation history, inspire interest in aviation, educate the public and honor aviation pioneers and veterans. The museum is dedicated to the preservation, perpetuation and exhibition of historical aircraft, and to the men and women, both famous and unknown, who devoted their lives to flight. The Los Angeles County Air Show is excited to showcase one of the most famous airplanes of all time, the Lockheed P-38 Lightning. Pilot Steve Hinton of Planes of Fame Air Museum will provide audiences with a graceful solo aerobatic demonstration. Whether known as the Warhawk, Tomahawk, or Kittyhawk, the Curtiss P-40 proved to be a successful, versatile fighter during the first half of World War II. The shark-mouthed Tomahawks that Gen. Claire Chennault’s “Flying Tigers” flew in China against the Japanese remain among the most popular airplanes of the war. Piloted by John Hinton of Planes of Fame Air Museum this performance will be a sight to behold! The F-86 Sabre was developed in response to a 1944 request for a single-seat high-altitude fighter. The Sabre was the primary U.S. air-to-air fighter during the Korean War. It was closely matched to the Russian-designed MiG-15 being flown by Korean, Chinese, and Soviet pilots over “MiG Ailey.” Of the 40 pilots that achieved “ace” status in Korea, all but one flew F-86s. A shoutout to the Planes of Fame Air Museum for sharing this beautiful aircraft with our fans! 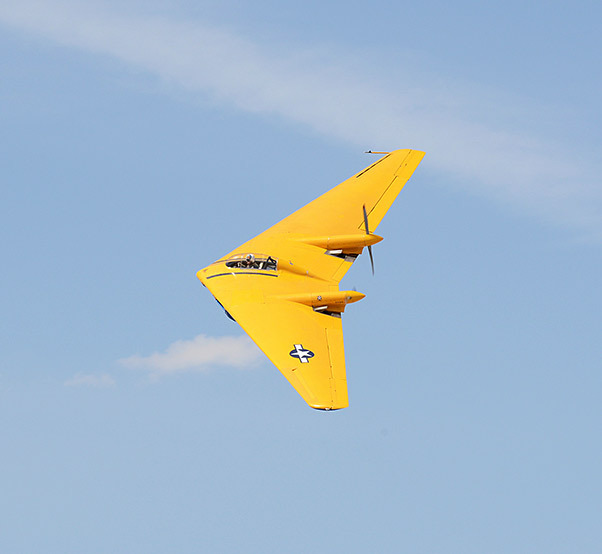 The aircraft was one of four prototypes built by Northrop, but the only surviving aircraft left. In 2016 it is now 70 years old, and the grandfather of today’s B-2 Stealth Bomber. Currently owned and restored by the Planes of Fame Air Museum in Chino California, this aircraft embodies the historical significance of the Aerospace Valley. Keep a close eye, as the Northrop N9MB performs several passes over the crowd at the Los Angeles County Air Show this March!